Like Mage, a Vampire has a two page sheet. 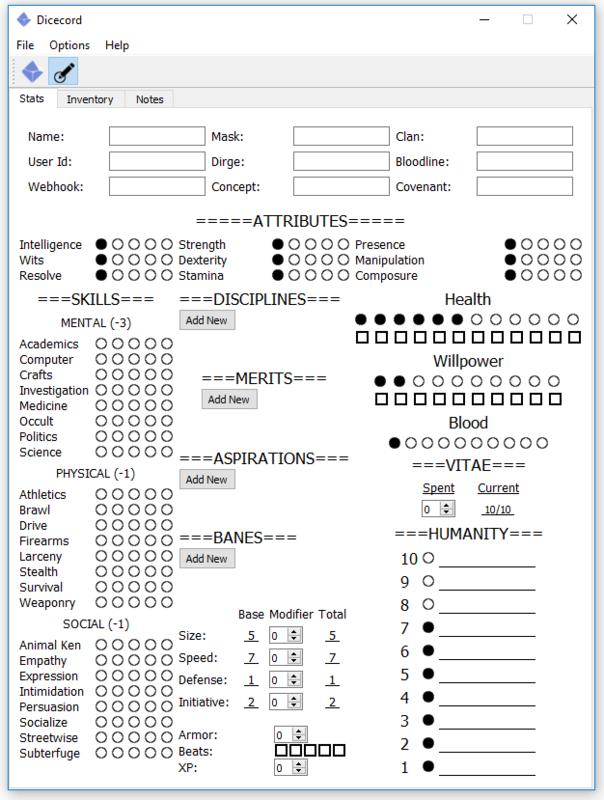 The first page shows their stats and other general vampire information. To make this, I had to craft some new objects, detailed in the previous project updates. Update 1, Update 2. Not only was this quite useful for the history and description entries, but it was a far superior way for me to do the Nimbus section of the Mage sheet, so now that has been updated to a resizing text box too. 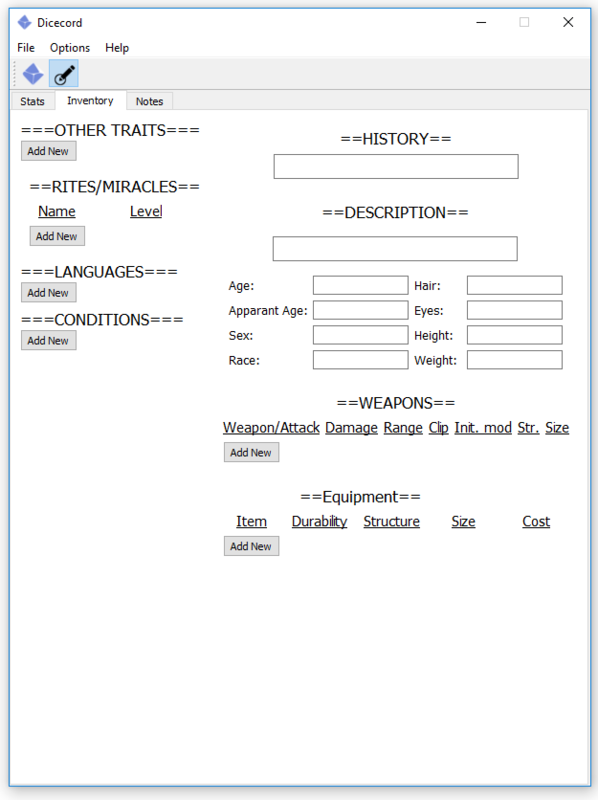 Overall, I really liked having the biographical details in the sheet and I will add it as a tab to Mage in a future deployment. In order to allow for easier addition of stats I made a lot of the back end code more generic. I have already mentioned how I changed the merits widget to a general object, but on top of that I turned most of the stats into python dictionaries. The reading and writing code has been rewritten to have standard XML tags for these sorts of objects, allowing an unlimited amount of elements with unique attributes be written and read by the same loop. Not only has this cut down on the lines of code for mage, but it will allow very easy addition of new stats as I add extra character types. 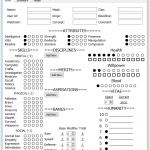 Finally, the read code is currently backwards compatible, so mage sheets made for v1.03 can be read and will be saved as v1.1 files. I have a vacation coming up so I won’t be doing much work on Dicecord for a while. I have some general features I want to add that I will work on during downtime before I look at a new splat. Mage Spell Caster -> A UI to help with calculating dicepools for spell casting and paradox. 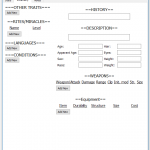 This entry was posted in Changelog, Dicecord, Python and tagged Python 3, release. Bookmark the permalink.